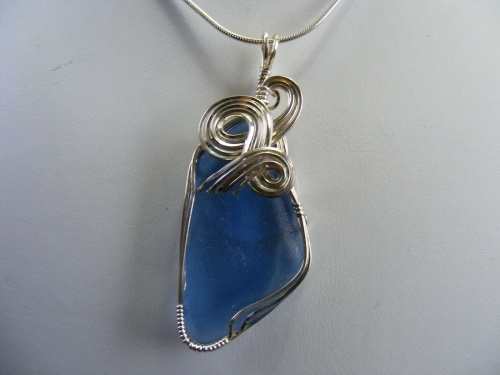 This gorgeous piece of seaglass is embelished with a sterling bow like design. Unique and definitely one of a kind - if blue is your color this piece is for you. Measures 2 1/8" from top to bottom and 3/4" at its widest part. Comes with a sterling silver snake chain.